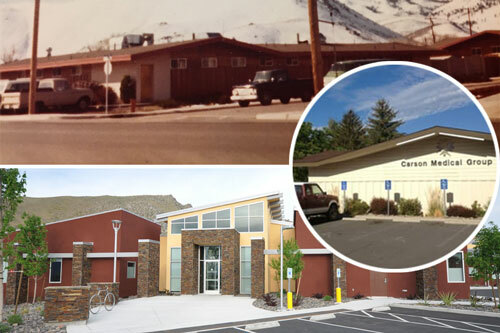 Carson Medical Group is proud to be serving Northern Nevada since 1974. With locations in Carson City, Reno and Minden, Carson Medical Group (CMG) provides quality medical care for healthy families and a healthy community. Our specialists span the fields of family, pediatrics, obstetrics, gynecology and ear, nose & throat. Carson Medical Group is respected for its medical expertise and work toward a healthier community by providing the finest in family medical care in the area. We care for our patients and our community. We promise to treat our patients and their families professionally and compassionately with dignity and respect. CMG is a team of health care professionals dedicated to providing you with exceptional service and the tools you need to live a healthy life. We have 27 board certified physicians to serve you--seven Pediatricians, eight Family Medicine providers, eleven OB/GYNs, and one Ear, Nose & Throat. We also have thirteen Advanced Practitioners--all offering the best medical treatment in Northern Nevada.